Miracle Foundation is an international non-profit that brings life-changing care to orphaned and vulnerable children. Ask any child and they will tell you that their biggest dream is to be part of a loving family — it’s where they thrive. Unfortunately, many children around the world still live in foster homes. children in the United States live in foster care. of children living in institutions have at least one living relative. The Miracle Foundation has one sole purpose – to provide a loving home for every child. They do this by putting systems in place to monitor and ensure children are where they should be. When given a proper place to call home, all children feel an innate sense of love and belonging. 80% of children living in institutions have a living relative. Miracle Foundation makes every effort to reunite these children with their family if possible. That means they work with local communities on family-strengthening programs so that single mothers and families living in poverty have the resources they need to keep their children. For abandoned children without any relatives, Miracle Foundation actively explores solutions by advocating for each and every child to become part of a loving and stable adoptive family. They also help existing orphanages transition into organizations that better serve the children, communities and families. Miracle Foundation also collaborate with governments, other non-profits and local family-strengthening organizations to transform systems and give children a voice. Education is the single most important factor in breaking the cycle of poverty. With proper education and training, an orphan is empowered to become a healthy, happy, income-producing person. With this project, you can provide daily, weekly or monthly education to a child in a Miracle Foundation home, where all orphans stay in school until they are 18 and then have the opportunity to receive scholarships and continue with vocational training or higher education. Ensuring every child received nourishing and healthy food every day is a key to a healthy and happy start in life, but families in poverty often struggle to provide nutritious food for all their members. 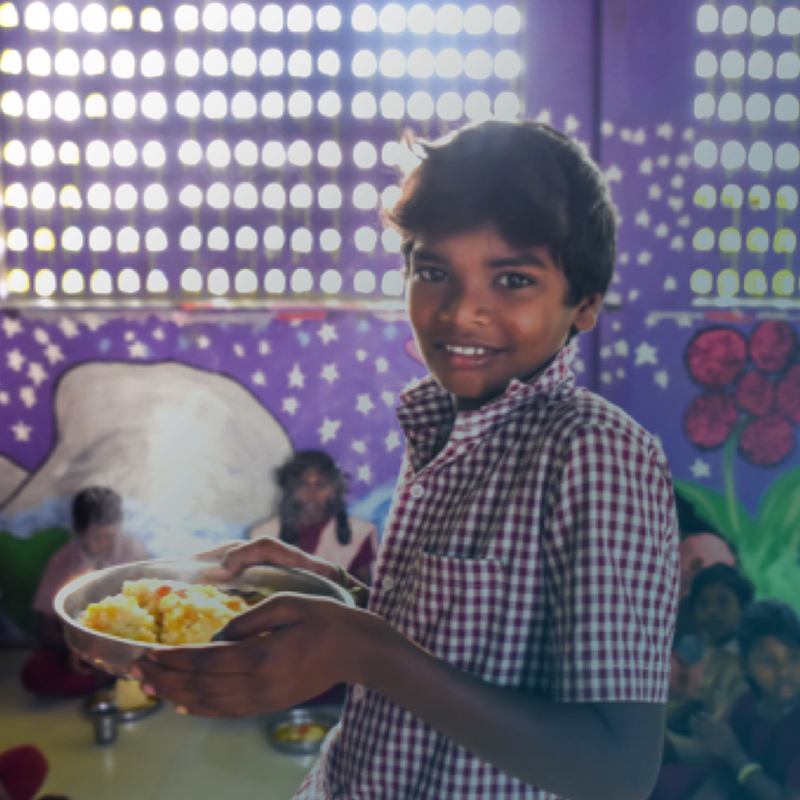 By supporting this project, you are helping the Miracle Foundation homes to provide nourishing food for orphaned children and children living in poor conditions. On 25 September 2015, world leaders convened to adopt the 17 Sustainable Development Goals (SDGs). They represent the global community’s next step in ending poverty, fighting inequality and injustice, and tackling climate change for the next 15 years. The projects from the Miracle Foundation contribute to 3 of these goals. Click on the goals to find out more.